Decline in Dubai rents to continue in 2018? 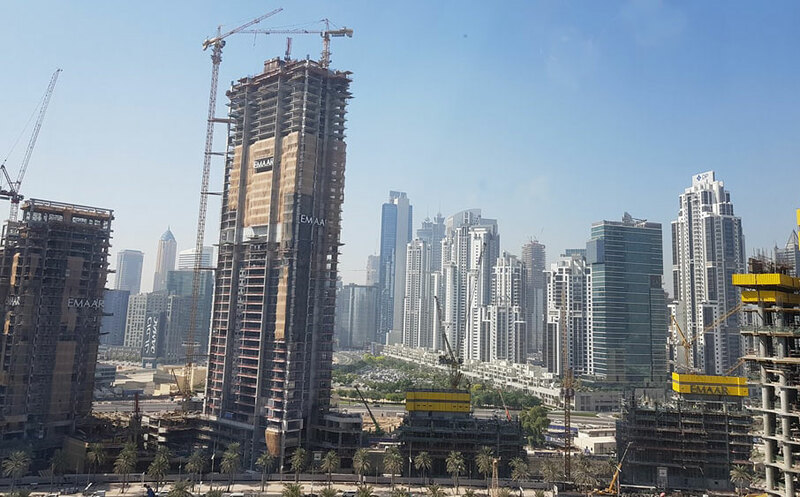 Dubai: With a glut of apartments and villas for lease and tenant demand failing to keep up, rents in many areas around Dubai have been heading south for some time now. And if the latest analysis were correct, it looks like the trend will continue towards year-end and even drag on into 2018. According to Jesse Downs, managing director of Phidar Advisory, many signs point to the cost of renting a home in Dubai coming down further and these include the huge influx of new residential developments and slow employment growth. Construction of new flats, villas and townhouses has been quite aggressive of late, especially since the city expects the number of visitors to swell during the Expo 2020 hosting. As of the last quarter, thousands of apartments and hundreds of villas were delivered in Dubai, providing more options for the tenants to choose from and pushing rates down. “Rents will continue to decline through the end of this year and likely into next year,” Jesse Downs, managing director of Phidar Advisory, told Gulf News. Rents for most flats in Dubai fell in September, with the apartment rental prices decreasing 0.85 per cent month-on-month and falling 6.07 per cent year-on-year, according to real estate tracker REIDIN. A similar trend has been witnessed by Asteco, which reported that the cost of leasing an apartment over the third quarter of 2017 fell 4 per cent, while year-on-year rental comparison showed a more marked decline of 12 per cent. Villa rental rates, likewise, have fallen by 3 per cent quarter-on-quarter and 10 per cent year-on-year. The overall trend has obviously been due to demand not keeping up with a huge influx of new apartments and villas. While more properties are being built or delivered, there are fewer tenants who are eager to snap up flats and villas. Between August and September alone, some 3,300 residential units -- including more than 600 villas -- were delivered, according to JLL. Before the end of 2019, expect more homes, approximately 80,000, to flood the market. “The market sentiment remains low. This is largely due to weak employment growth and the bearish outlook in terms of oil prices and global economic outlook,” noted John Stevens, managing director of Asteco. Still, there are landlords that refuse to lower rates in certain areas, and this is causing the market to flatten somehow at the moment. According to Downs, some property owners are still expecting the market to stabilise, so they tend to hold onto their units instead of agreeing to a lower rent, hoping that somehow they will soon have the upper hand in the market. “But higher vacancies are impacting every community in the city,” she said. “Sometimes, unrealistic expectations prevent landlords from renegotiating with existing tenants – but tenants are finding better deals and moving within their own buildings for a lower rent and sometimes better lease term, like a more professional landlord with professional maintenance teams and better-managed units.” This trend can be seen even in the most popular areas in Dubai. As to when the rents will stabilise or start going up again, there is no clear-cut forecast. But factors, such as higher oil prices, improved business conditions and better job prospects could likely work in favour of the landlords. “Most likely, it will stabilise towards the end of 2018 or in 2019. However this is also incredibly positive,” noted Downs.